The Senate overwhelmingly voted Thursday to confirm Ash Carter as the next U.S. Secretary of Defense, succeeding Chuck Hagel. The 93-5 vote to confirm the longtime Pentagon official was not a surprise. His confirmation hearing last week was quiet, a marked contrast to Hagel’s two years before. The Senate Armed Services Committee voted unanimously to recommend him to the full Senate Wednesday. 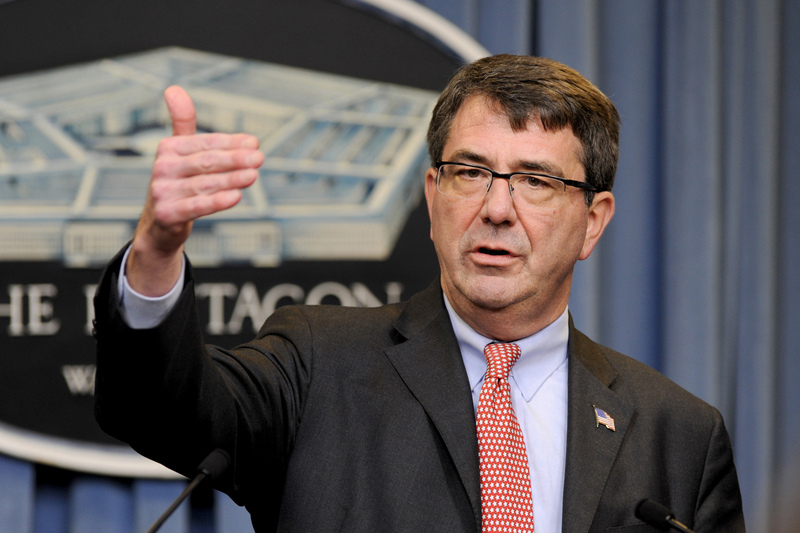 Carter, who last served as the number two civilian in the department until 2013 and before that as the department’s chief weapons buyer, will be taking over a department that is reviewing its operations against the Islamic State in Syria and Iraq (ISIS or ISIL) that now controls large sections of both countries. At the same time Congress is considering a new resolution at the request of the administration of President Barack Obama that covers the use of force against the Islamic State. The resolution contains a sunset date that would require a new administration back to go back to Congress for approval of future operations. It also puts limits on American military involvement. Thursday morning before the Senate confirmed Carter, the Senate Armed Services Committee (SASC) heard Gen. John Campbell, commander of American and coalition forces in Afghanistan, testify on the situation in that country, an issue that will confront Carter almost as soon as he is sworn in. While Campbell said that he was presenting options to Central Command and the administration on how to proceed in drawing down the current force from 12,900 to 5,500, he said the plan now was to do that by mid-summer. The announced administration goal is to reduce the force to about 1,000 by the end of 2016 and have that force in the embassy and at an assistance site in nearby Bagram. Carter said during his confirmation that although this was the plan for Afghanistan that conditions on the ground could cause it to change. During the morning session of the confirmation hearing, Carter also said he favored sending lethal defense weapons to Ukraine in Kiev’s struggle with Russian separatists. He hedged that in the afternoon session. “When it comes to much of our national security policy, I must candidly express concern about the task that awaits Dr. Carter and the limited influence he may have,” Sen. John McCain, (R-Ariz.) and chairman of the Armed Services Committee, was quoted as saying about the confirmation vote. During the confirmation hearing, McCain questioned the “micromanaging” of the Pentagon by the White House and the National Security staff that has seen four defense secretaries during the first six years of the Obama administration. “I’ll be entirely straight and upfront with the president and make my advice as cogent and useful to him in making his decisions as I can,” Carter said at the hearing.